On Friday, the 25th of September 2015, a special symposium on Places and Place Names will be held at Flinders University in Adelaide, Australia. The Guest Speaker for the event will be Dr. Alice Gorman who will be lecturing on “Placenames in Outer Space”. Directly after the Symposium, the Annual General Meeting of Placenames Australia (Inc.) will be held. 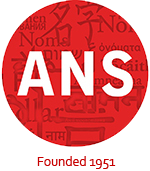 For more information refer to the September newsletter of the Australian National Placenames Survey (ANPS) or contact Dr. D. Lonergan, Director ANPS.